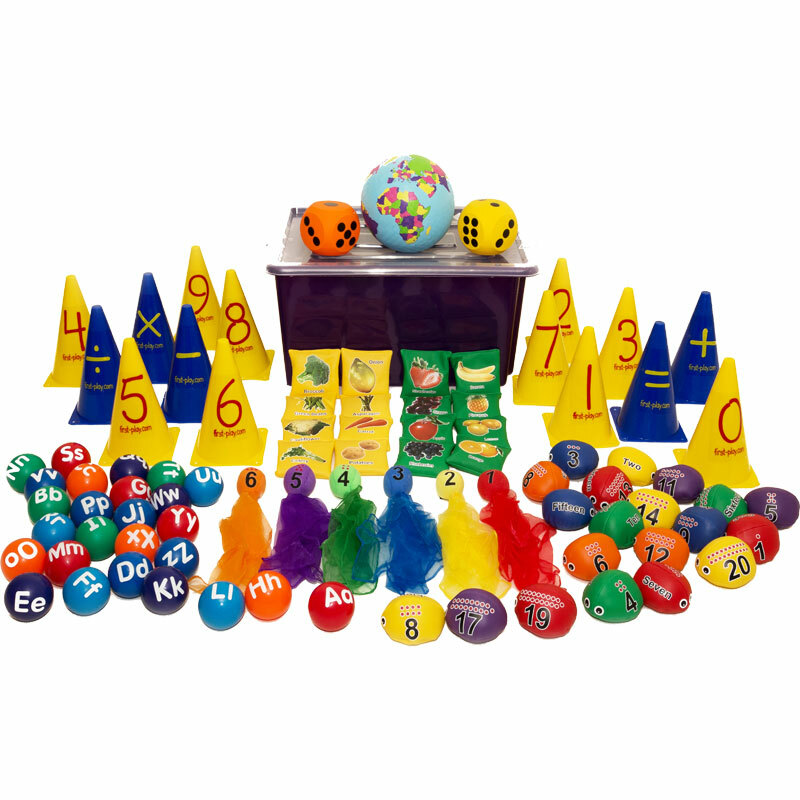 The First Play ® Learn And Play Pack is a comprehensive pack of equipment that will help children develop their learning skills through fun and enjoyable play. Supplied in tub with a lid. 1 x Playground earth ball. 6 x Number ball scarves. 20 x Number bug beanbags.